I am pretty proud of myself, waiting all the way thru January to get excited. About what you ask? Spring shearing! Is! Coming! I shouldn't be excited. 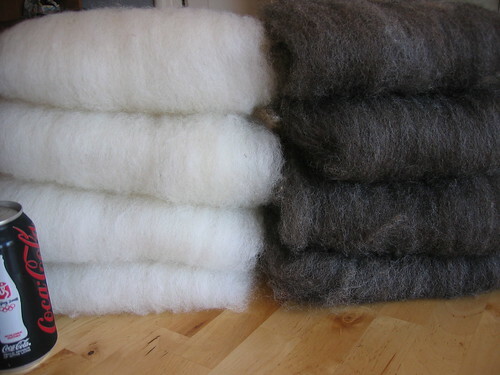 I have an inordinate amount of fleeces on hand, have at least 3 reserved for 2009 that I can remember (2 from Little Meadow Farms, where the above Jacob fleece is from), and literally no space to store them... but still! 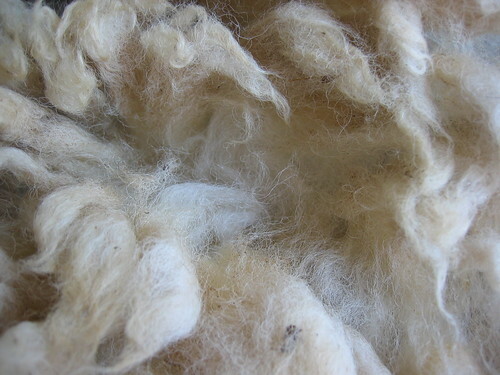 I decided that I needed to actually try to work thru some of the fleeces before I could justify buying more. 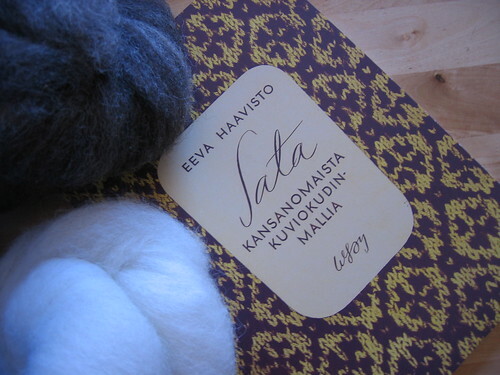 I finally spun the black and white yarns I've meant to for almost a whole year-- intended for Haavisto or Selbuvotter mittens for me. 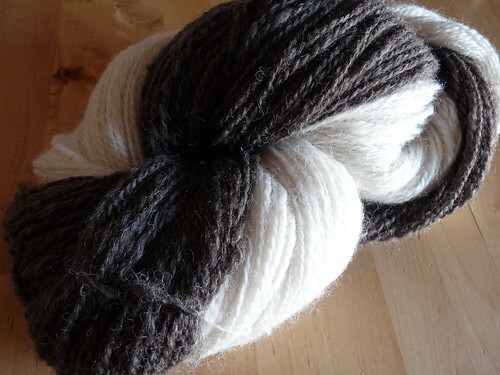 The dark skein is a heavier weight than the light... I was originally planning gloves but think the fingers may be too skewed for the gauge change. 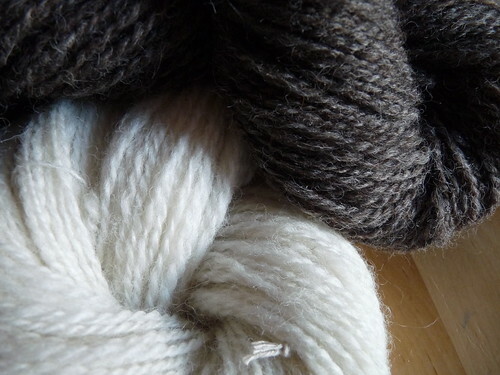 I'm still going to try and use them together-- I just think it's too cool, 2 distinct colors from one sheep! Wow yay for you. Such pretty yarn and the project will turn out beautifully I'm sure. 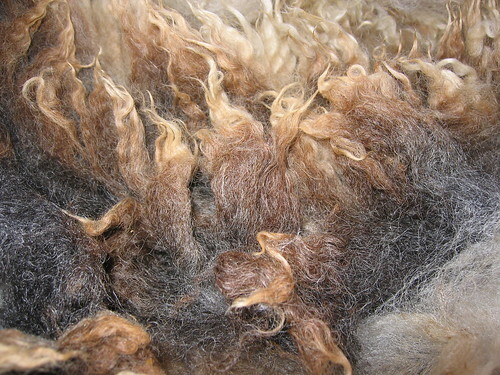 OK, it is TOO COOL that those both came from the same sheep with no dye! Those are going to be awesome mittens/gloves/whatever you end up deciding on. What wonderful pics - a gorgeous fibery saga! So inspiring!! What an amazing difference between the beginning, middle and the end. And all from the same sheep? I didn't know that was possible. Then, when you spin it up, you get what seems to be an entirely different thing. I love the balance between black and white. Oh that looks lovely. I adore natural colours! Wow, they look lovely! 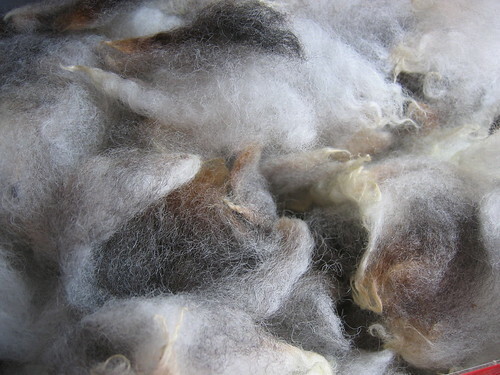 I can't wait until I get to make my own yarn from the fleece.